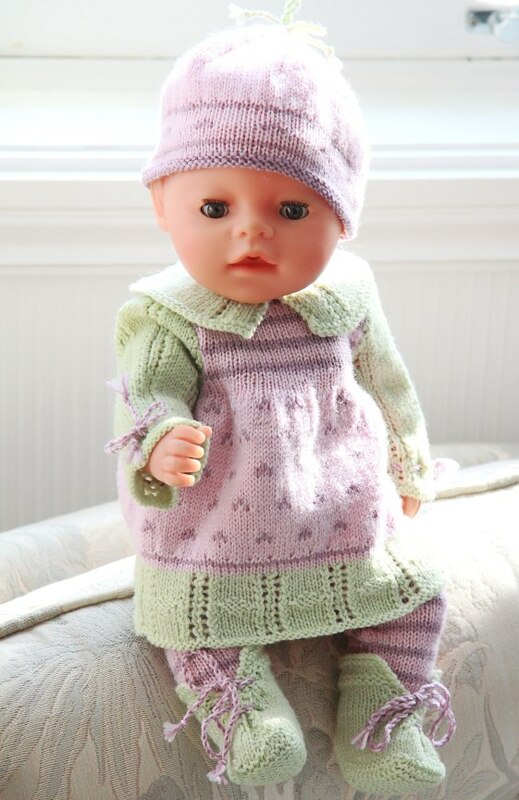 This patterns fits 17" - 18" dolls like Baby born, Alexander doll and American Girl doll. 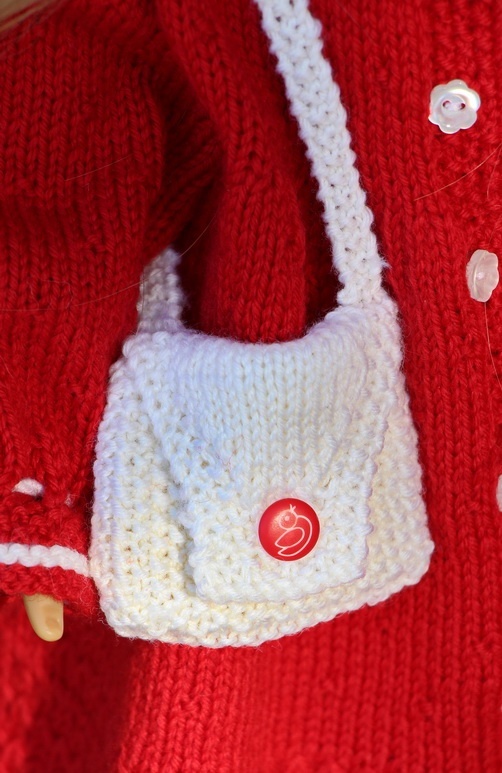 This time I decided to knit a beautiful dress in red for my doll Turid. 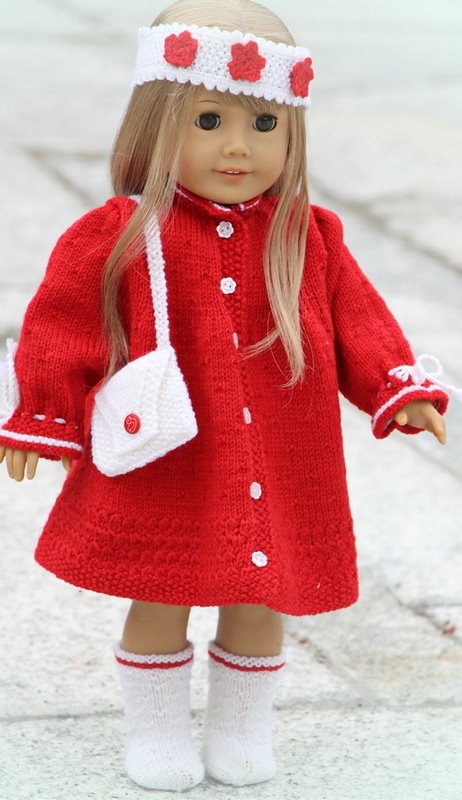 ... a lovely walkawy dress in red. 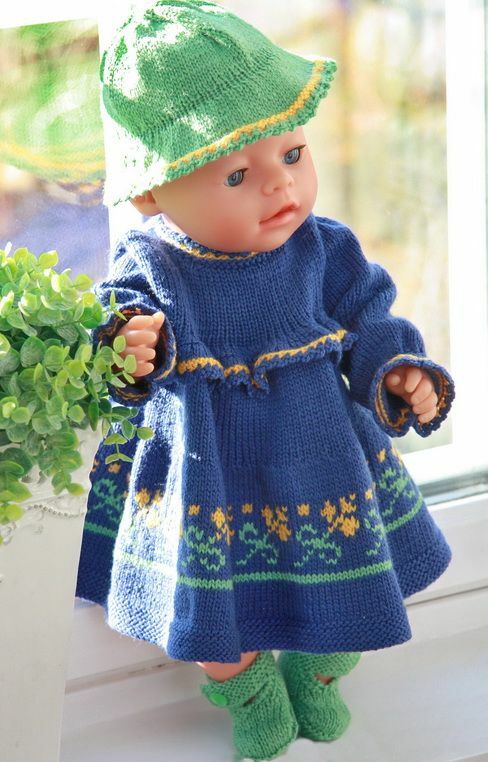 The dress is knitted forth and back. 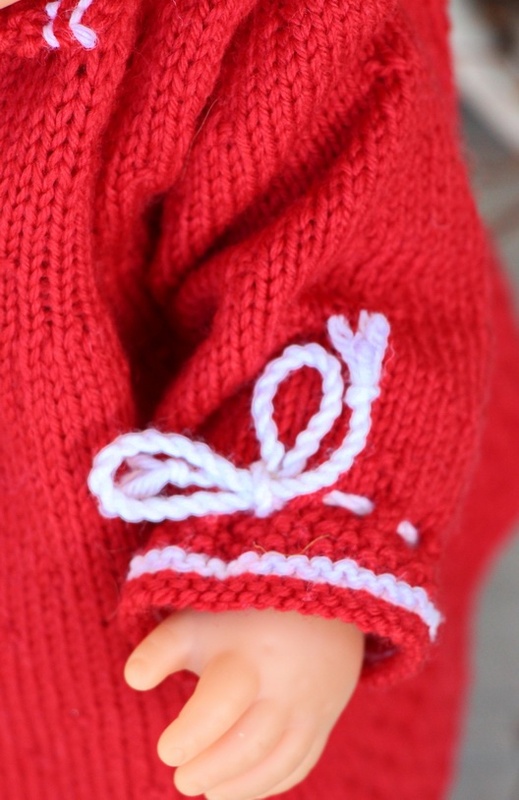 Along the front band I have sewed nice little white buttons. White chords round the arms and small stripes in white round the arms and round the neckband the white color makes the dress look very nice. 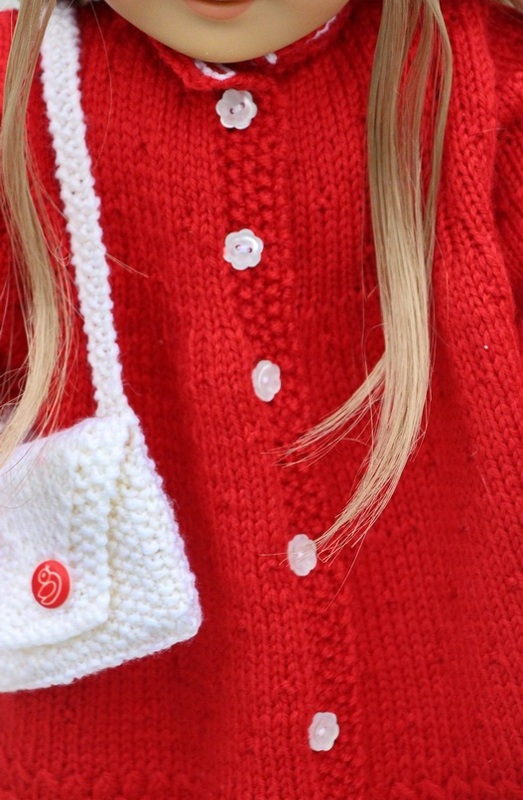 A shoulder bag in white make the clothes look even better and even more fitted for a party. 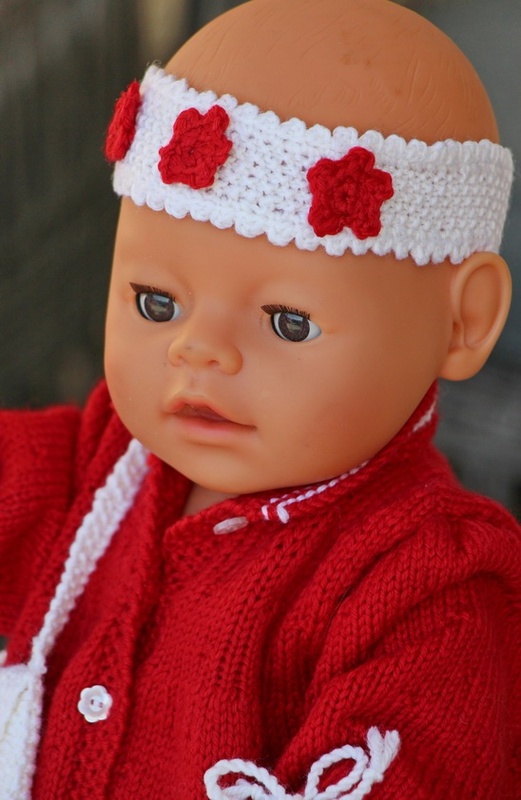 I have also knitted her a lovely hairband with flowers. Turid has a beautiful hair and loves this hairband with flowers to make her hair look beautiful. 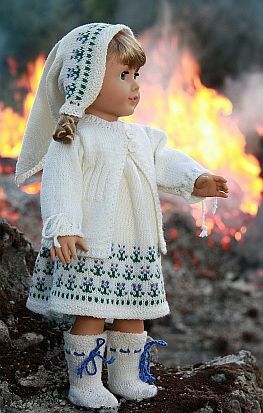 The doll Turid is very happy with her new clothes. I also knitted a pair of knee socks and pants as belongings!